Do not fear the large amount of garlic in this recipe. Garlic cloves are nutty and mellow when cooked whole. Once you try it, you may end up adding even more garlic, because they are so delicious. This classic recipe includes vegetables for a meal in one pot. If you do not have a clay cooker, you can use a large covered Dutch oven and reduce the oven temperature to about 375 F.
Soak top and bottom of 3-1/4-quart (3.25 L) clay cooker in water for 30 minutes; drain. Line bottom and sides of the cooker with parchment paper. Combine olive oil, rosemary, thyme, sage, and lemon juice in a large zip-top bag. Squish to combine. Add garlic cloves, carrots, potatoes, and pearl onions. Seal bag and turn until all vegetables are coated. Scoop out the vegetables (reserving the marinade) and place them around the outer edge of the clay cooker, leaving room for the in the center. Use the remaining marinade to coat the chicken, rubbing it into the skin. Place the chicken in the center of the clay cooker, breast-side up. Sprinkle chicken and vegetables generously with salt and cover. Place in a cold oven and set the temperature to 475 degrees F. (250 degrees C.). Bake until chicken is tender and juices run clear when thigh ispierced, about 1-1/4 hours. Remove cover and bake an additional 5 to 10 minutes until chicken is crisp and brown. 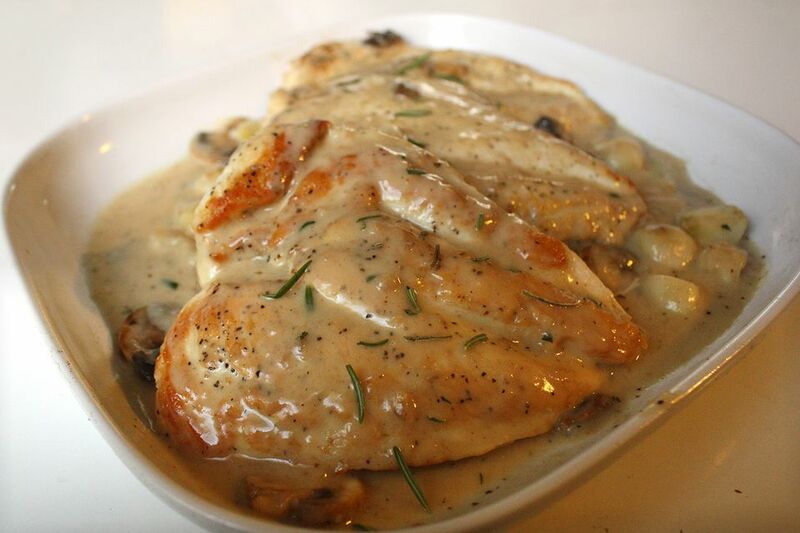 Carve chicken and drizzle with pot gravy. Serve with the whole garlic cloves, vegetables, and French bread.